Select device and day and click show (like you'd do normally when browsing history). You can also use plus () and minus () buttons. Every time, a new layer will be made, with a line in a different color. 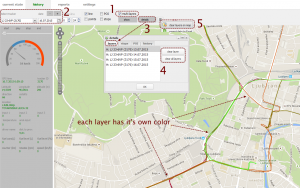 To see all layers, click button "details" and select tab "layers". Here, you can select and delete layers. 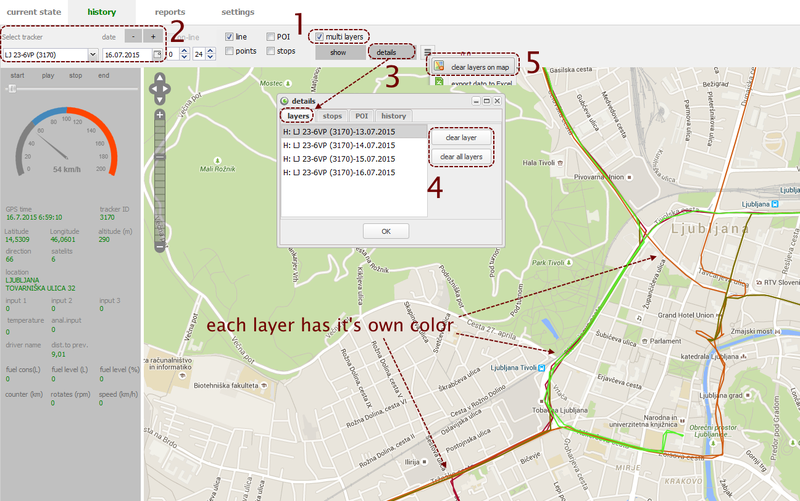 There's also an option to clear map - delete all layers. Open menu next to "details" button and click option "clear layers on map".